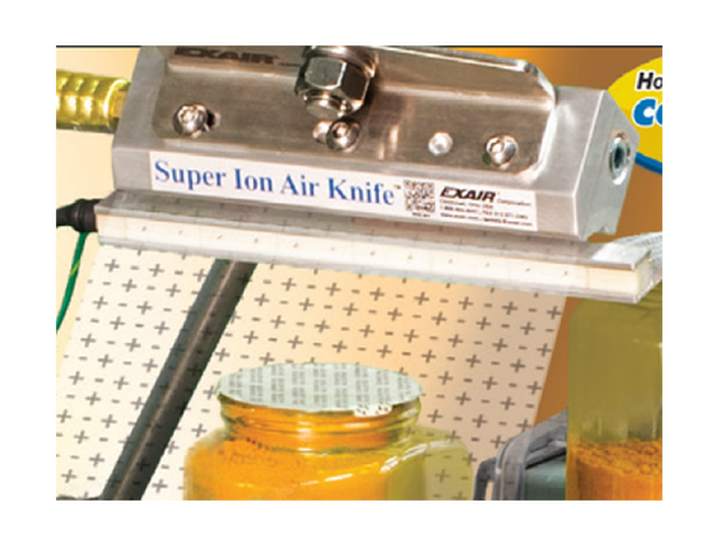 EXAIR’s static eliminators (called ionizers) will eliminate the charge. Super Ion Air Knife™Systems neutralize and clean at distances up to 20 feet, with low air consumption. Ion Air Cannon™, Ion Air Gun™, Super Ion Air Wipe™, Ion Air Jet™, Ionizing Bars and Ionizing Point™ are also available.